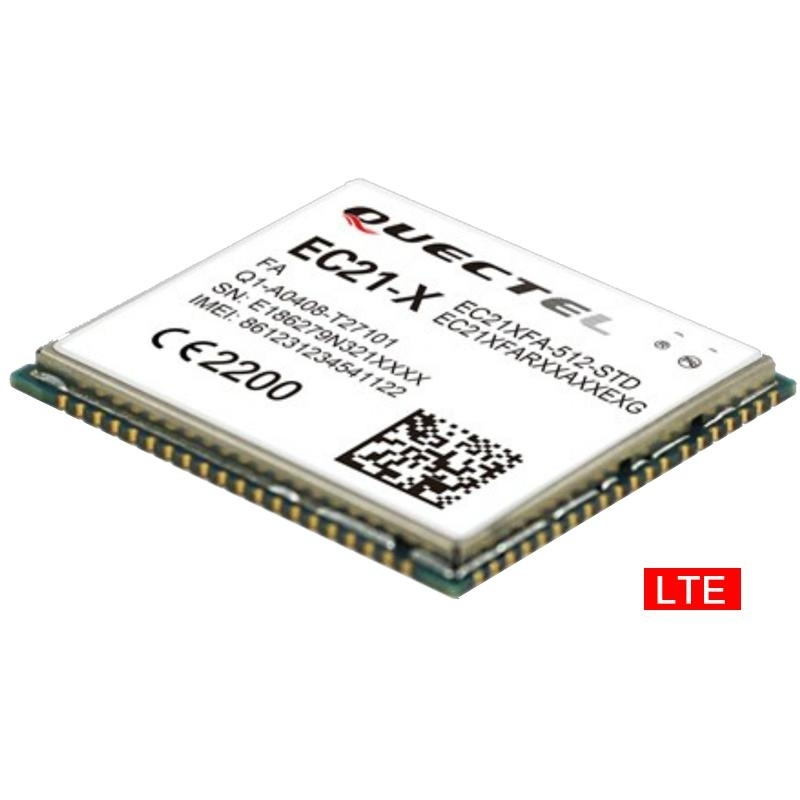 Quectel EC21 is a series of LTE category 1 module optimized specially for M2M and IoT applications. 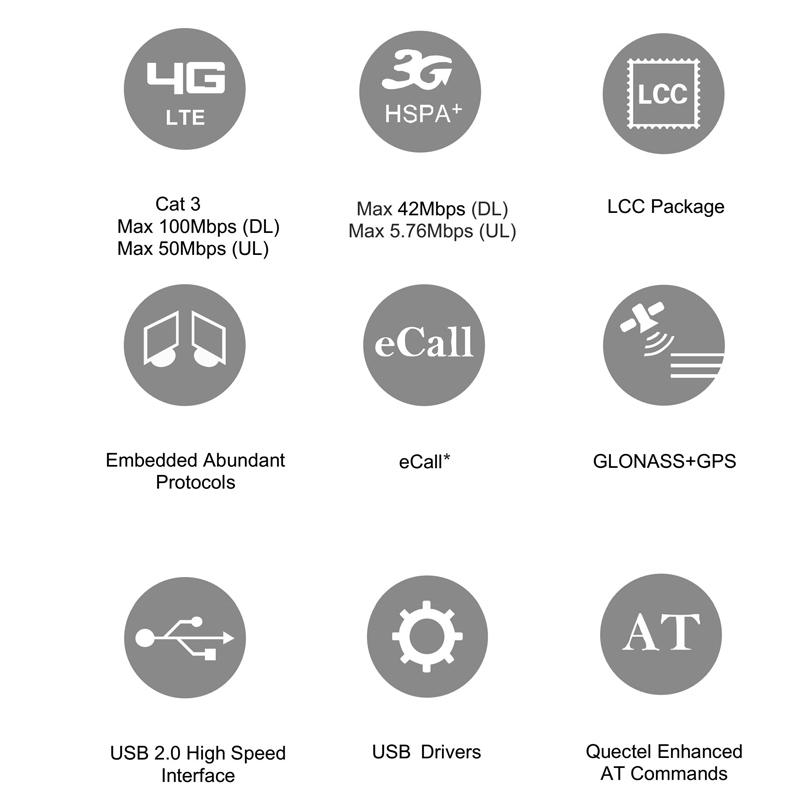 It features cost-saving, low power LTE connectivity, and delivers M2M-optimized speeds of 10Mbit/s downlink and 5Mbit/s uplink. 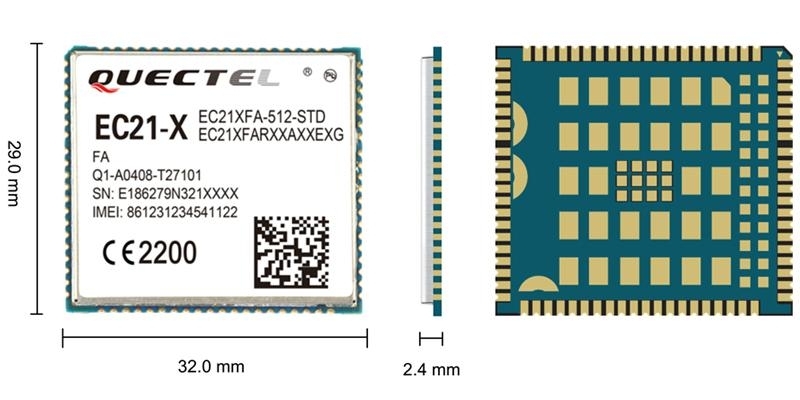 These make EC21 an ideal solution for numerous IoT applications that are not reliant on high speed connectivity but still require the longevity and reliability of LTE networks. 3.3V~ 4.3V , 3.8V Typ.